America has had to wait long to learn more about the mysterious J. Peters, reputed head of Soviet espionage in Washington in the 1930s. The actual head of the group—well, the elected head of the group—was either [Nathan] Witt at one time or [John] Abt, and the organizer of the group had been Harold Ware. The head of the whole business was J. Peters. At last, a sleuth has picked up the cold trail. Dr. Thomas Sakmyster is a professor emeritus of history at the University of Cincinnati. His expertise lies in Early 20th Century Hungarian affairs. His revelations in Red Conspirator are riveting. “J. Peters” was born Sándor Goldberger, a secular Jew in an Austro-Hungarian border town in 1894. Trained as a lawyer, he entered a long career as a Communist Party functionary. He immigrated to the United States in 1924. Peters was a decidedly efficient and shrewd party bureaucrat and passionate in his belief of Communism. He rose quickly to leadership back in his homeland district, and again in the States to the party’s national committee. Had Peters applied himself to capitalism instead of Communism, he might have headed a very different business. Chances are we would speak of him today among prominent Hungarian-Americans entrepreneurs like George Soros, Calvin Klein, Estée Lauder, and John Hertz. Instead, in 1931 Peter’s skills in party organization led him to Communism’s meccas, Moscow and Berlin. He trained as “Org Praticant”—and spy. In Moscow, he came to know many people who would figure in Federal investigations in the 1940s and 1950s, like Gerhard Eisler (first husband of Hedde Massing) and Jacob Golos (handler of Elizabeth Bentley). In Berlin, he became an expert in passport forgery. Back in the States in 1932, Peters kept working on party organization, publishing his Manual. His repertoire expanded, however. He established an “illegal apparatus” for “special mail” via “mail drops” to decrease detection by American authorities. He set up a “secret apparatus” to infiltrate the Federal government. 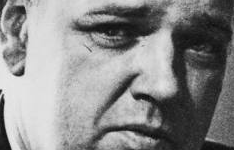 Whittaker Chambers served him, first in mail drop activities, then in the Ware Group. Thus, Chambers found himself in 1948 before HUAC, under subpoena, talking about Peters. Most tantalizing in Red Conspirator is the thwarting of one Federal agency by another. 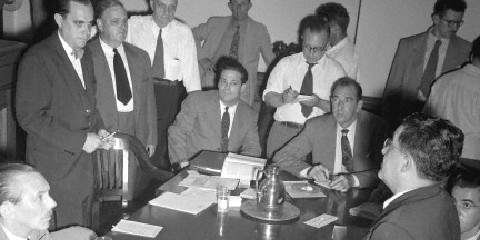 In the 1940s, HUAC and the FBI were working to flush out Peters’s role in the Soviet underground. Meantime, the INS was trying to deport him. (Peters chose to leave of his own free will prior to deportation.) Rounding out the book are scrapbook-like anecdotes about Peters in Hungary, from his return in 1949 to his death four decades later. Most exciting in Red Conspirator is the memoir Peters began to write in 1983 for the Hungarian party’s secret files. Since the fall of the Soviet empire, it has become available to the public—for those who have come to know of it. The memoir fills many gaps in Peters’ life. It helps Sakmyster weigh what to accept, interpret, and reject of what Peters chose to reveal. 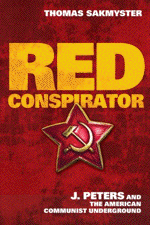 Red Conspirator is a contribution to studies in Communism. The book’s approach and tone are scholarly. The findings are electrifying, particularly the author’s main conclusion: J. Peters operated his own infiltration networks. True, he worked with and supported Soviet intelligence. However, as a model organization man, he also prepared for the future on his own. His secret apparatus he formed “largely on his own initiative,” Sakmyster concludes. “No Soviet agent ever served directly as his handler.” Peters may have been “head of the whole business,” but, says Sakmyster, the Ware Group was a rather private affair. From August 3, 1948, until today, America has had to wait to learn more about the head of Soviet espionage in Washington during the 1930s. Only a few Americans then knew the name “J. Peters”—among half a dozen or more pseudonyms. By that time, however, both the FBI and the INS had taken active interest in his hidden career and that of an alter ego, “Alexander Stevens.” Like most good spies, Peters hid in plain sight. In fact, his definitive Communist Party’s Manual on Organisation (1935) was available in larger cities, predating William H. Whyte’s best-selling The Organization Man by 20 years. Back in the US in 1932, Peters continued to work on organization practices during the 1930s. In this period he wrote and published his Manual. He also began to establish his “illegal apparatus.” He concentrated on “special mail” (secure communications) via “mail drops.” The network extended around the country, seeking to minimize detection by American government authorities. He also began to establish his “secret apparatus.” He concentrated on infiltrating the US Federal government. This task fell to him in part due to earlier association with Max Bedacht, a previous underground go-between. Bedacht seconded Whittaker Chambers to the underground, then Peters succeeded Bedacht. Chambers served Peters, first in mail drop activities, then in the Ware Group. Thus, Chambers found himself in 1948 under subpoena before HUAC, talking about Peters. In 1983, Peters began to write a memoir for the Hungarian party’s secret files. Since the fall of the Soviet empire, it has become available to the public—for those who know of it. The memoir fills in many gaps in Peters’ life. It also helps Dr. Sakmyster weigh what to accept, interpret, and reject in Peters’ own self-assessment.